There are two rooms, each sleeping 2 - one with twin beds and the other with a double bed. Both have en-suite bathrooms, no separate kitchen, but tea and coffee-making facilities, a small fridge, a microwave on request and a TV. The units have their own outdoor seating area and private entrances, which means that you can come and go as you please. Centrally located, you are well positioned to enjoy walking to shops, restaurants and other amenities in the town. Pepper Tree invites you to stay over at this affordable establishment where you are always made to feel welcome! Check-In 01:00 PM onwards, but no later than 8pm please. 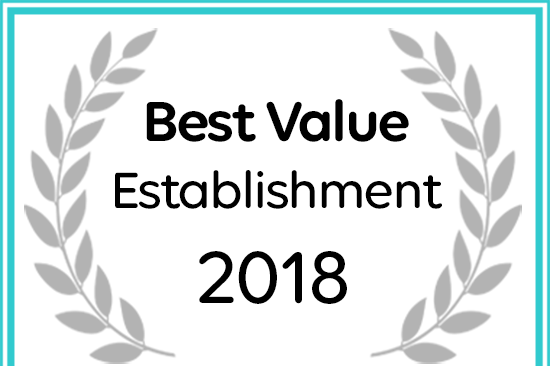 Pepper Tree Montagu has been named a Best Value Montagu Establishment.